5 litres of Brushable Paint Stripper. FOR TRADE USE ONLY, please read and accept terms of conditions before purchasing. Apply a liberal, even coat using a paint brush, making sure no area is untreated. The scouring of the paint will help paint stripper get to work. Leave for 10-15 minutes, inspect paint and if it has started to bubble and crease, scrape off. If not, leave for a further 10-15 minutes. In some cases, a second application may be necessary. 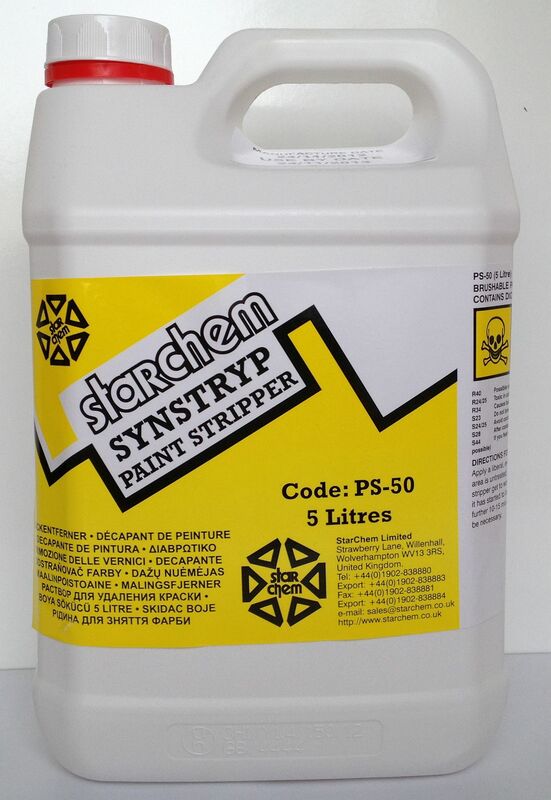 5 litres of Brushable Paint Stripper. FOR TRADE USE ONLY, please read and accept terms of conditions before purchasing.